"The atmosphere was so friendly and cozy we enjoyed calling it "home" while we were here. Thanks for making our stay so much fun, Julie & Butch." 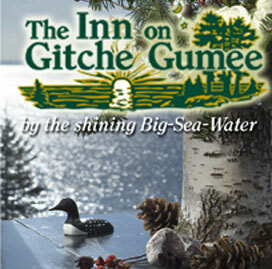 The Butch and Julie Sievert family invite you to experience The Inn on Gitche Gumee on Minnesota's North Shore Scenic Drive. Surround yourself with year-round hospitality. We guarantee the beauty and mystique of "Gitche Gumee," the Native American name for Lake Superior, will refresh your spirit. Unwind in themed stress-free suites or in a private cottage - all creatively decorated with handcrafted woodwork, nature accents and hand-pieced quilts.